A Southern California organization stretched its arms across the nation, to benefit Florida’s victims of Hurricane Irma. Members of “Little Saigon” – California’s Vietnamese-American community – literally ‘sang their hearts out’ in the Love for Florida fundraiser held September 28, raising $10,000 for the Desert to the Sea Region, earmarked for hurricane relief. Recently, moved by the plight of Florida’s hurricane victims, Quoc again stepped into action. Vo approached Ngoc Huyen, an acclaimed singer, who used her celebrity status to pull together local artists and performers, in addition to community and civic leaders. 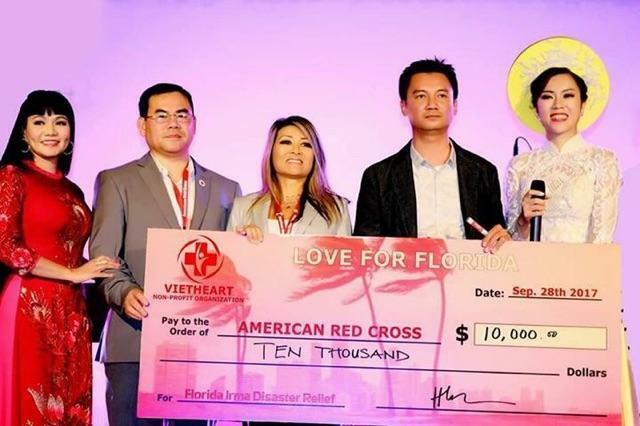 Three dozen volunteers – plus co-hosts VStar 57.11 television and the Nguoi Viet Newspaper – rallied to swiftly organize a campaign to raise critically needed funds for hurricane relief. What followed next was the spectacular Love for Florida telethon, featuring a variety of singers, musicians and entertainers. The event was hosted at the Westminster headquarters of Nguoi Viet and VStar 57.11 and streamed live on television, Facebook, and other social media platforms. Donors called in and pledged money, or walked directly into the newspaper facility to donate with checks in hand. Within six hours, the fundraiser in Little Saigon had raised $10,000 for neighbors in need more than 2,800 miles away. Orange County is home to the largest Little Saigon enclave in the nation, a three-square-mile area where roughly 200,000 people of Vietnamese descent live. “In the Vietnamese community, it’s a lot about trust and relationship,” explained Don Nguyen, Ngoc Huyen’s husband, and an advocate of the American Red Cross. As a retired U.S. Air Force Commander, Nguyen had a lot of experience with the Red Cross, particularly providing for military service members and family emergencies. Nguyen revealed he wants to “continue serving his community” and “keep engaged and involved” and one crucial way has been coming a member of the Orange County Red Cross Chapter of the Board of Governors. Nguyen regularly donates blood and participates in Sound the Alarm campaigns, where his language skills are crucial in connecting with Vietnamese-speaking residents. Nguyen sees himself as an ambassador; advocating and sharing the valuable education, training and disaster preparedness services the Red Cross has to offer to the community while offering community members vital volunteerism opportunities. “If people are not connected, it’s hard to support or engage,” he continued, and expressed pride in the work of his community, assisting so many, so far away; while raising the exposure of the Desert to the Sea Region. Jana Priest, major gift officer, American Red Cross Desert to the Sea Region, was on-hand to accept the donation from the artists, on behalf of the community and Viet Heart. “It was wonderful to see the community come together to help those affected by Hurricane Irma,” said Priest. “The enthusiasm and excitement they demonstrated to help was inspirational and I was honored to attend the event”. 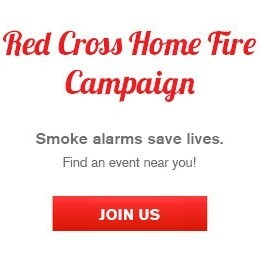 For more information on how you or your organization can help neighbors in need, please visit redcross.org/dts. Thank you for supporting the American Red Cross relief efforts! Your donations help to send volunteers and provide support to those in need!